Zambian President Michael Sata has died in London, where he had been receiving treatment for an undisclosed illness, three private Zambian media outlets said. The reports on the private Muzi television station, and the Zambia Reports and Zambian Watchdog websites, said the southern African nation's cabinet was about to meet. Reuters news agency also reported that a government source had confirmed the death. "It is true. We lost the President. The acting president will make a statement soon," the source said. Government officials gave no immediate comment. The reports said Sata had died on Tuesday evening at London's King Edward VII hospital. The hospital declined to comment. 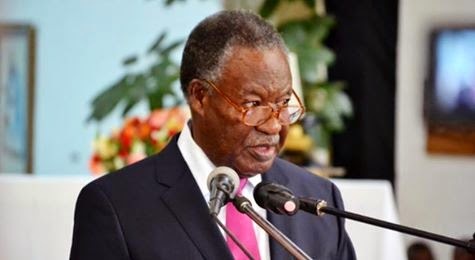 Sata, 77, left Zambia for medical treatment on October 19 accompanied by his wife and family members, according to a brief government statement that gave no further details. There has been no official update on his condition and acting president Edgar Lungu had to lead celebrations last week to mark the landlocked nation's 50th anniversary of independence from Britain. Concern over Sata's health has been mounting in the country since June, when he disappeared from the public eye without explanation and was then reported to be getting medical treatment in Israel. He missed a scheduled speech at the UN General Assembly in September amid reports that he had fallen ill in his New York hotel. A few days before that, he had attended the opening of parliament in Lusaka, joking: "I am not dead." Sata has not been seen in public since he returned to Zambia from New York in late September. Sata, who once worked as a railway porter in London, had been the country's president since September, 2011 after winning a tight presidential race against the then incumbent, Rupiah Banda.